Lua error in Module:Location_map at line 417: Unable to find the specified location map definition. 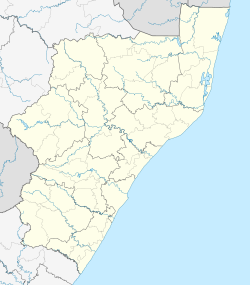 Neither "Module:Location map/data/Durban" nor "Template:Location map Durban" exists. ↑ 1.0 1.1 1.2 1.3 "Main Place Mount Edgecombe". Census 2011. Letlakala le fetotšwe la mafelelo ka 20:53, 2 Mosegamanye 2017.